The former Canadian Pacific Railway (CPR) Station is one of the province's most notable sites. Between 1904, when the building was completed, and 1914, when the great waves of immigration were dwindling, thousands of Prairie homesteaders passed through its grand portico. The station was designed by the renowned Montreal firm of Edward and W.S. Maxwell. 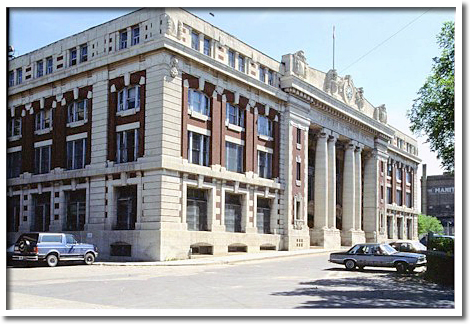 At the Winnipeg CPR Station, the Maxwell brothers created an early Canadian example of the Beaux-Arts Classical style. That style was very popular throughout Europe and North America for the construction of large public buildings. The huge columns of the station's portico and the richly ornamented façade are hallmarks of the style. The great size of the building, and the choice of style, reflected the CPR's prosperity and ex-pectations for an illustrious future for the West.